Looking for guest rates for the home? 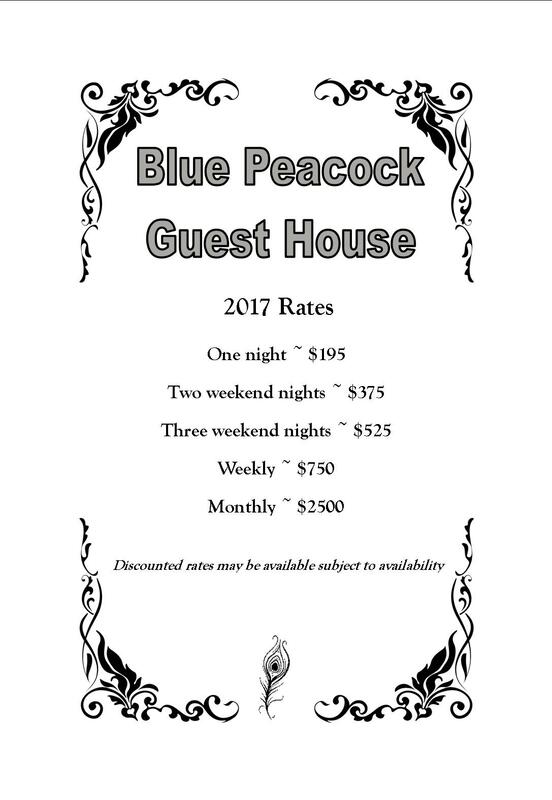 Please view our rate sheet for 2017. If you are driving, feel free to click the link below to get driving directions! If you have a question regarding the Blue Peacock, please feel free to send us a message! We will respond as quickly as possible. If you are representing a Company, please fill in the company name.